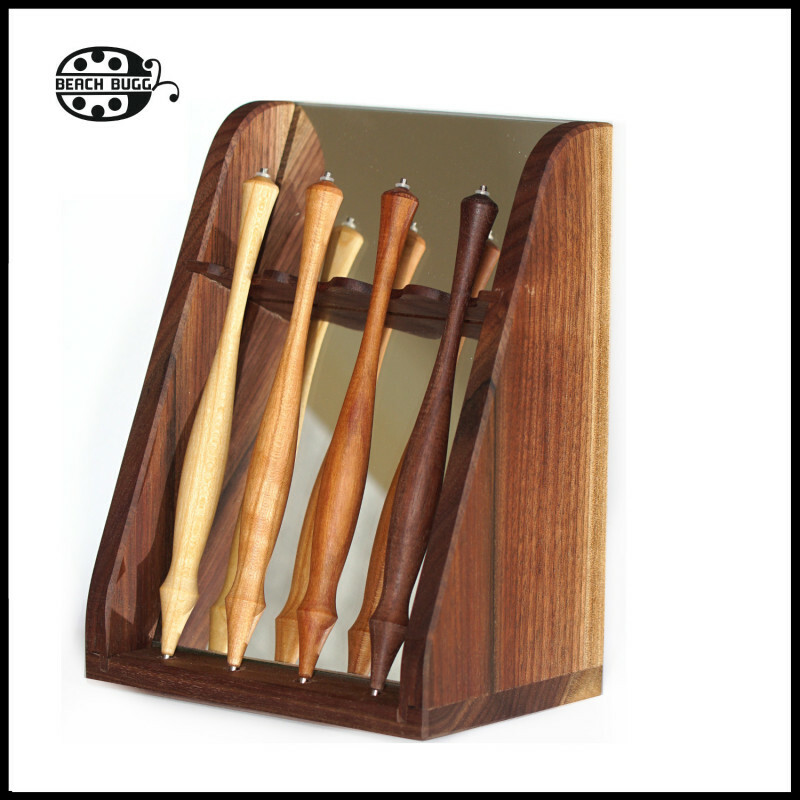 1 pieces wood display with mirror for 4 pieces hairpin or pen. WE SHIP THIS ITEM ONLY IN EUROPE! ATTENTION: from 2 pieces we have to charge extra shipping fee! PLEASE NOTE THAT THE PATTERN AND COLOR TONE MAY DEVIATE FROM THE BALL LETTER FROM PHOTOS! 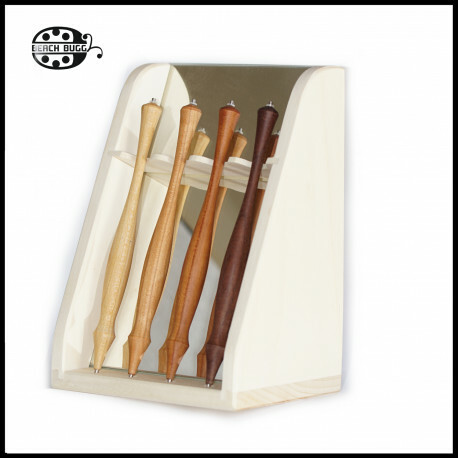 PLEASE CHOOSE THE WOOD TYPE! 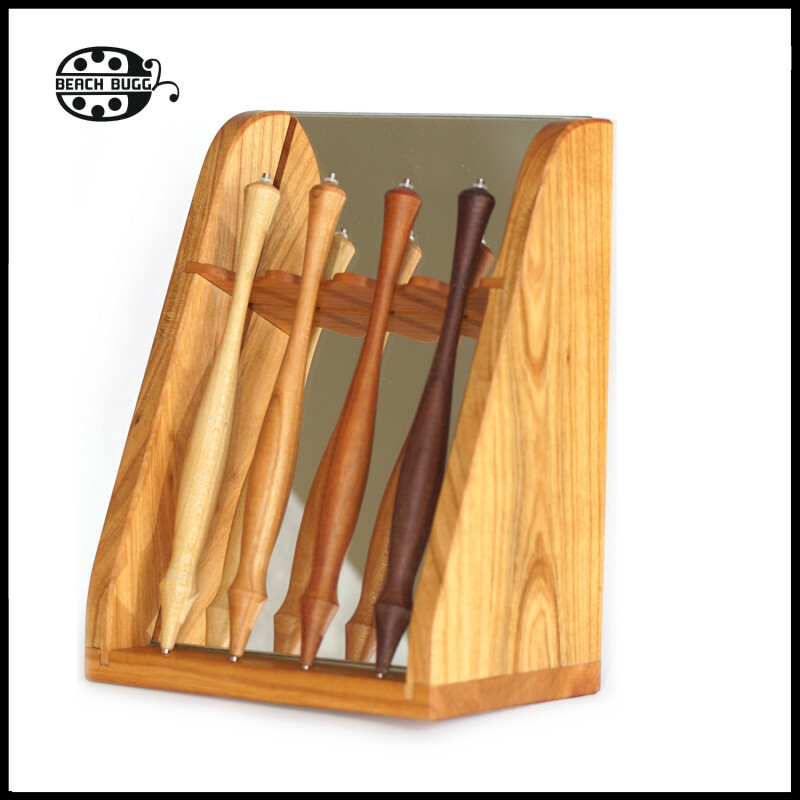 Beach Buggy is a interchangeable jewelry, screw-on system for lampwork bead jewelry. All metal elements are made from surgical steel (stainless steel), a material of many virtues. Surgical steel is one of the hardest kinds of steel, it does not get worn, does not get colorized and does not induce allergic reactions. It makes the elements long-lasting, they can be assembled and disassembled multiple times. The steel is so hard that you can even use pliers to gently hold and turn the elements without scratching them. You can hold the steel lampwork bead pins into the flame of a lampwork touch and melt glass onto it. All elements are threaded they can be connected by screwing. The lampwork bead pin and the various connector elements provide virtually unlimited possibilities to create fantastic jewelry. The diameter of the lampwork bead pins are 1.1 mm and the various silicon tubes and converters provide a tight fit for beads with holes of a diameter of 2-3 mm. The system is not recommended for holes with a diameter larger than 3 mm as the size of the end elements (4-5 mm) are too small for such beads. The recommended bore diameter is 1.5-2.5 mm.